The Cotton Cupboard is now a Sweet Pea retailer! To save energy and headache on downloading files, you are welcome to order through us and have your designs ready for you for club. Give us a call for more details. January- Let's get it done workshop day! We want to start off the new year helping you all finish your current embroidery projects. Bring in anything you would like to get some help with, or come just to stitch in good company. 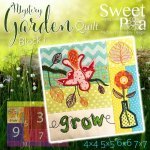 February- We are excited to start Sweet Pea's latest block of the month. 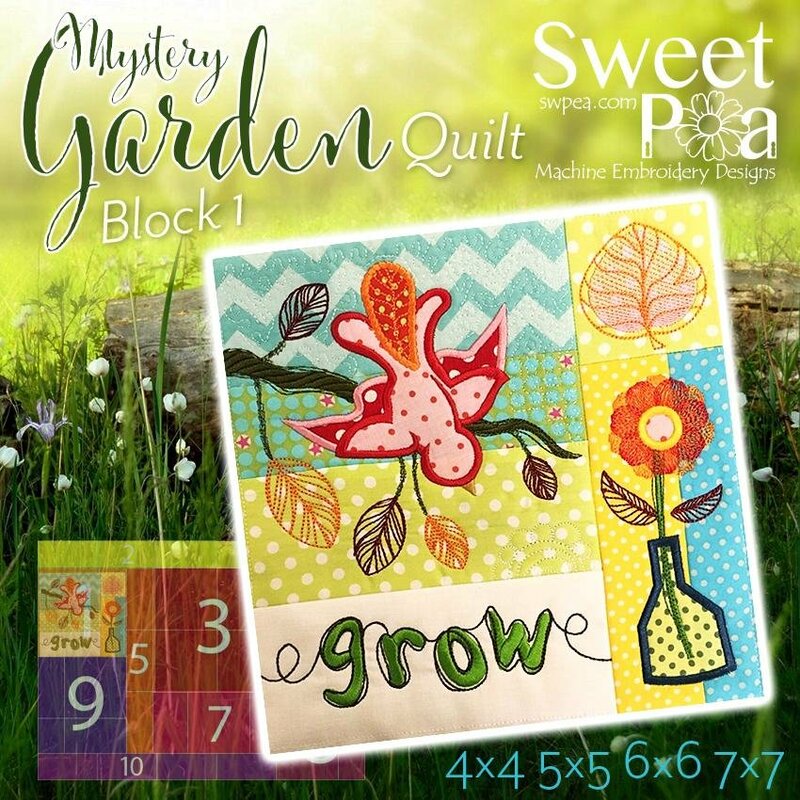 This beginner friendly program will run for 10 months, but a few months behind the Sweet Pea sew along group which gives our customers the opportunity to come up with color ideas for their next block in advance. In this program you will learn to perfect your applique skills, and to select a color palette to build on and create a cohesive finished product. We will explore the ways that thread choice can really enhance a project, and touch on extra embellishments that can be added after the fact for that extra layer of wow factor. Bring your scraps! This project calls for a lot of small pieces which is a great opportunity to incorporate what you have at home. Cutting instructions and necessary supplies are listed in the instructions of your individual design. (ie; number of different fabrics and threads, type of stabilizer) You will receive your designs via email upon signing up for the class. If you have any questions about your design don't hesitate to give us a call! General supplies: Embroidery machine, scissors, thread, bobbins, bobbin thread, extra needles, snips, marking pen, pins etc. Additional requirements, as needed, will be identified in each class descriptions. The Cotton Cupboard will make every effort to have all required supplies available for all students prior to class, however we cannot guarantee availability the day of class.